The Forerunner 645 GPS Watch is a fully-featured activity tracker that's designed to elevate performance. New for 2018, the 645 features a sleek, sophisticated look with its stainless steel bezel and chemically strengthened glass, yet it's strong enough for serious use while training or racing. Bringing contactless payment to make things even easier while on the go, Garmin Pay removes the need (and worry) of bringing cash or credit cards on the run. 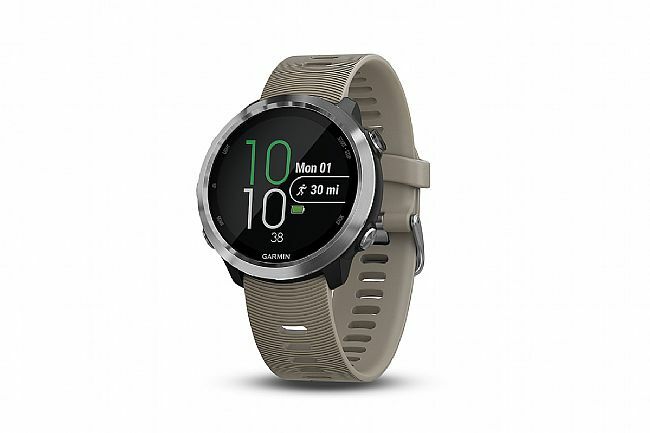 With built-in sport modes and its advanced running dynamics and performance monitoring tools, the Forerunner 645 has everything thats needed to refine performance. A wrist-based Elevate™ heart rate monitor delivers always-on heart rate monitoring to know exactly how your body is fairing after that last run. 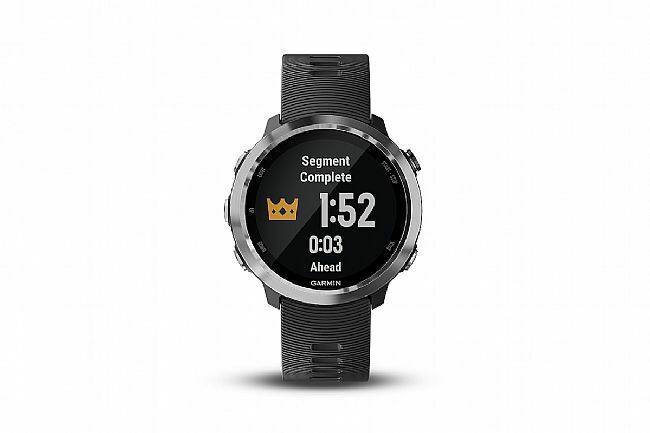 Afterwards, the Forerunner 645 will even automatically evaluate the recent exercise history to show whether you're training productively, peaking, or overreaching. 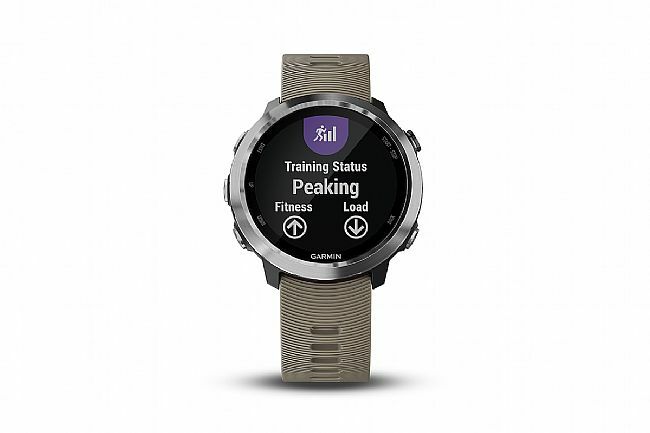 Plan and train accordingly with this fully-featured Smartwatch.